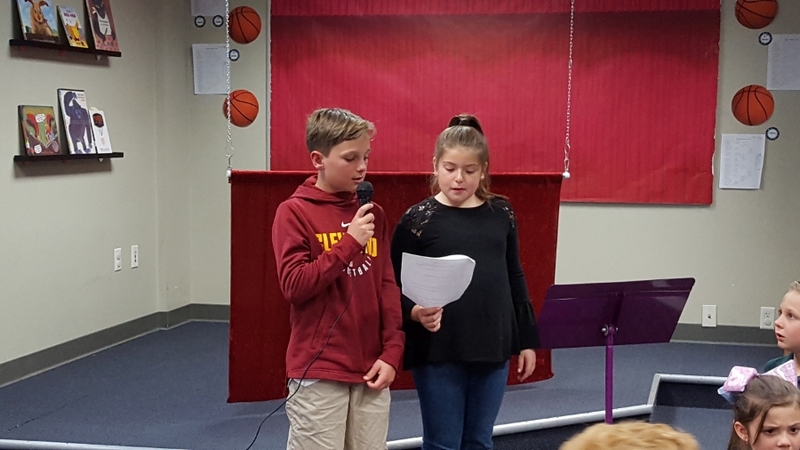 Literacy Night is an evening of poetry, puppets and reader's theater to celebrate student reading. It will be held Wednesday, February 27th at 6:00pm - 8:00pm, in the school library. All TK-5 students are invited to participate at Literacy Night. Those who enjoy performing on a stage should sign up to "perform" while others are welcome to sit in the audience and cheer on their classmates. TK will tell a flannel board story, "Brown Bear, Brown Bear"
Kindergarten will read aloud a book they wrote; each student will read his/her page in the book. 1st Grade students will be reading a Thai Lullaby called "Hush!". 2nd Grade students will be reading "One Day House"
3rd Grade will be reciting the poem, "Stars." 4th Grade will be doing a puppet show of "Goldilocks and the three bears." Some 4th graders have also signed up to MC the event or to be ushers. 5th Grade students will be reading "Stella Louella's Runaway Book." 1) I have checked our family calendar and my child is available to participate in Literacy Night on Wednesday, February 27th. 2) I will bring my child to the St. P library no later than 6:00pm (if in grades TK-1)/6:30pm (if in grades 2-5) on February 27th. 3) I will make sure my child arrives dressed in school uniform. 4) My child will be encouraged to practice his/her lines. 5) I give my permission for my child to participate in Literacy Night rehearsals at school, as needed, to prepare for the performance on February 27th. Welcome to Act I of Literacy Night! Kindergarten performing "If I were not in Kinder, I Wonder What I'd Be"
2nd Grade singing Eric Carle's "Today is Monday". Arrive on-time with your student(s). Remember, parking lots will be full so allow extra time. Allow extra time for traffic, parking in the upper lot, and walking safely down the hill, to the library. Students must be wearing School Uniform (except 5th grade). Treats provided after each performance (no dinner available).